How are you? Hope you had a wonderful weekend and are enjoying your Summer. Here it is getting pretty hot but I don't mind it at all. I am looking forward to the kids summer break which will start tomorrow. I really enjoy it when they are at home. I have some exciting news to share. 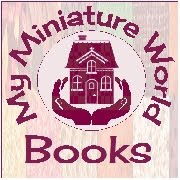 Maybe you have noticed the Award on the left hand side of My Miniature World Blog. 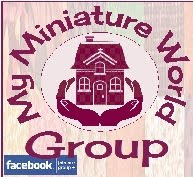 I am very proud to say that My Miniature World blog has been honored by being ranked in the Top 100 miniature blogs in the World Wide Web. I wasn't expecting anything of the sort but I have to admit I am thrilled. I don't have words to thank enough my family, friends, followers and fans for your constant love, support and encouragement to make this all possible. From the depth of my heart THANK YOU. 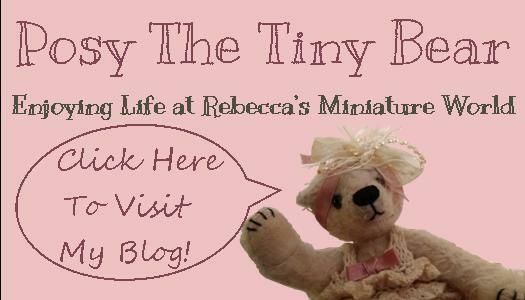 Click Here to see the Top 100 miniature blogs on Feedspot. 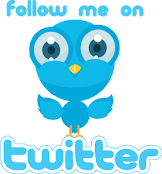 Before I start I also wanted to welcome the new followers to the blog and also the new members on the Face Book group. Welcome! 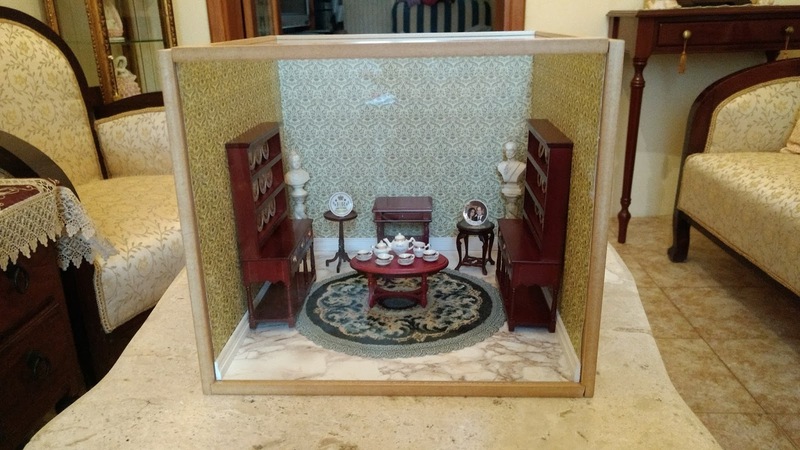 As you all know I have been very busy with the last touches of the big move of my dolls houses to their new home and I am very excited about that too. As so much is going on it is very unwise to start working on a new project. I have to admit, I am missing it. 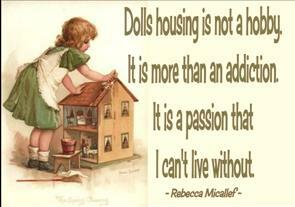 It has never happened before that I took so long to actually start a new dolls house project. Nevertheless that doesn't mean that I can't fit in something small than the usual. So I decided to work on a Room Box. This project I have decided to call it the DHE Miniature Museum. 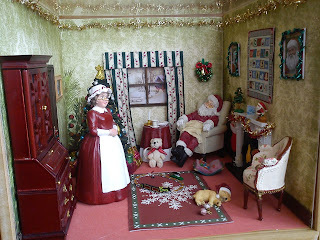 The Dolls House Emporium has always had a special place in my heart. It was through it that I truly found my first inspirations. I have always loved their quality of kits and their excellent services. I have some wonderful miniature pieces that in no manner I will ever use them in a dolls house project but than again they mean so much to me. I decided that through a room box I could easily manage to display them. You might remember the old room box that I had decorated a few years ago with a Christmas Scene and just before last Christmas I dismantled it to move the accessories in another Shadow box. 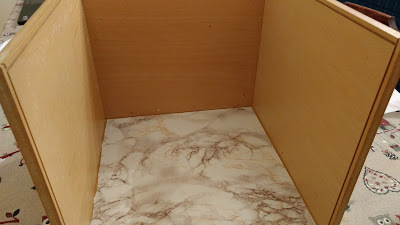 As the old room box was empty and I really didn't have much use for it, I thought that it would be perfect for this project. 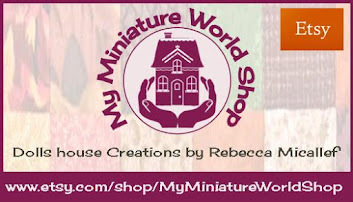 All the pieces that I will be using for this project will be from the Dolls House Emporium. Some of them are now discontinued and some of them are very special. So first of all I started with a clean up of the room box. Removed the previous used wall paper and flooring and decided to go for a marble flooring. 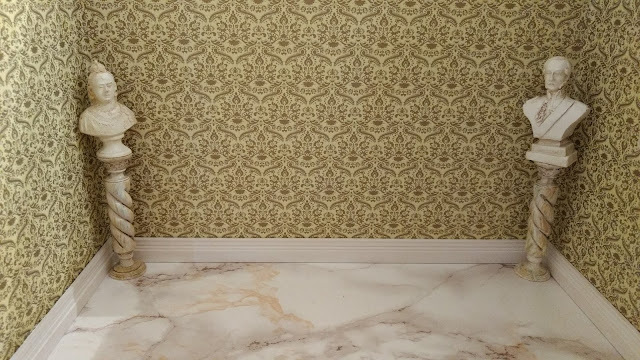 Then I fixed the wall paper and also did the skirting for the room. 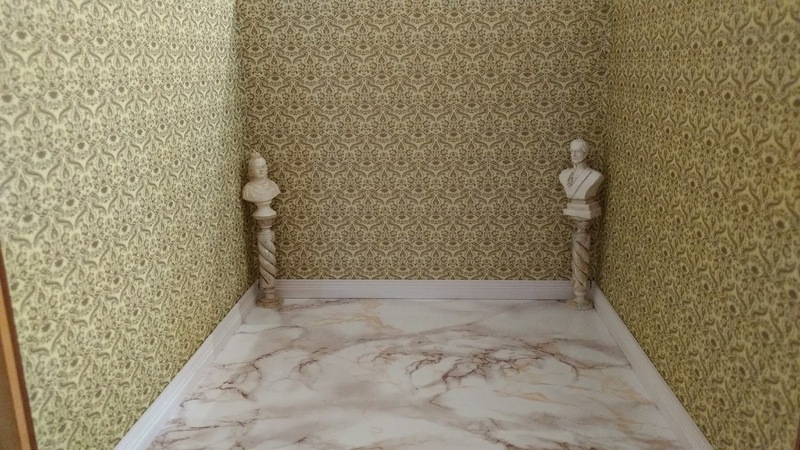 I had the Queen Victoria's and Prince Albert's Busts for years and never ever found the right place for them in a dolls house. There was no way I would have separated these and adding them in this project was ideal. I remember that the pair were a free gift. 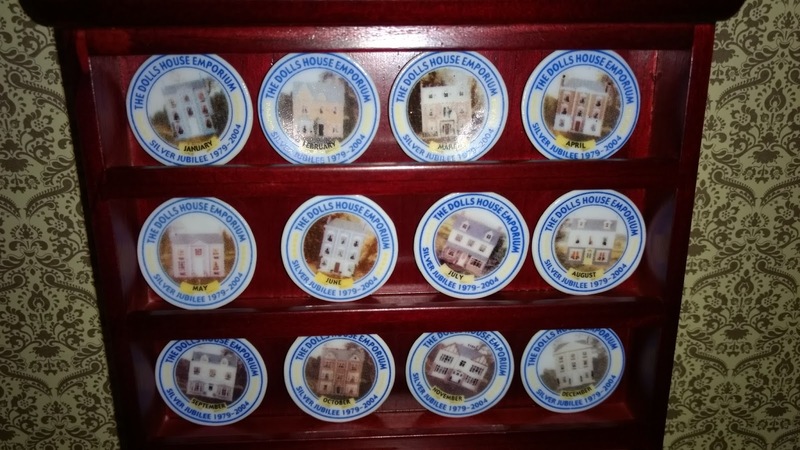 In the year 2004 the Dolls House Emporium celebrated their Silver Jubilee 25th Anniversary. For the occasion they had offered a Collection of 12 miniature ceramic plates featuring a Dolls House Emporium Dolls House for each month of the year. They were on offer for each order placed during the month. 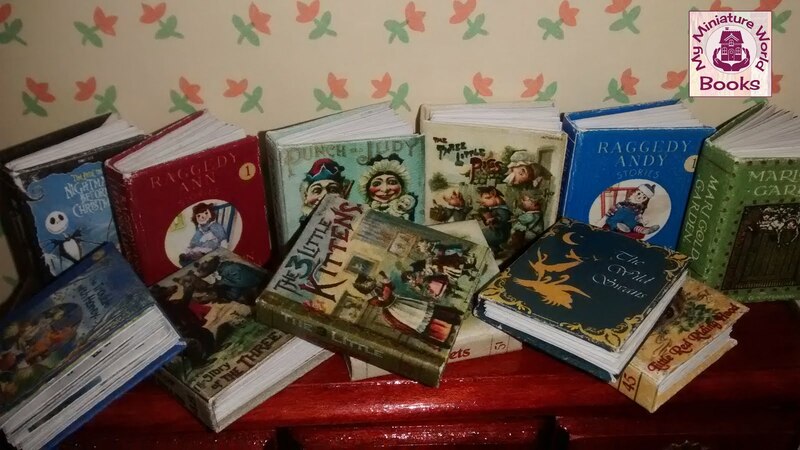 I had collected them all with the lovely display. 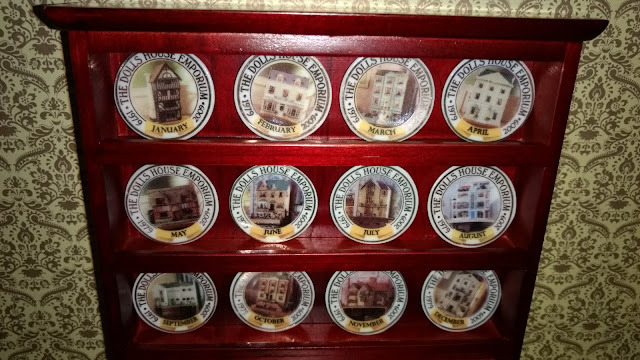 In 2009 once again the Dolls House Emporium were celebrating their 30th Anniversary and once again for that year they had made another Collection consisting of 12 miniature ceramic plates featuring a dolls house and the month of the year. This was also offered for free every month when an order was placed. And just like the previous 5 years, I collected also this set with the display. 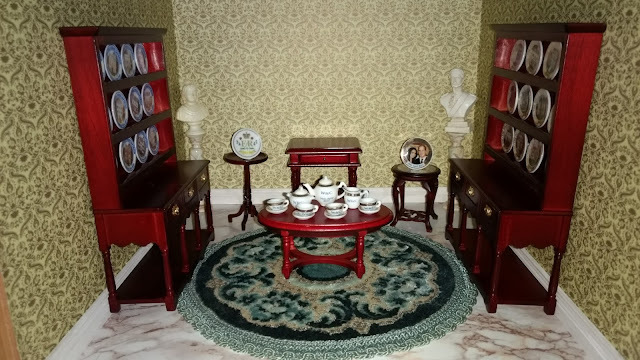 Apart from these lovely sets which I will treasure forever, I had other ceramics which the Dolls House Emporium had made. 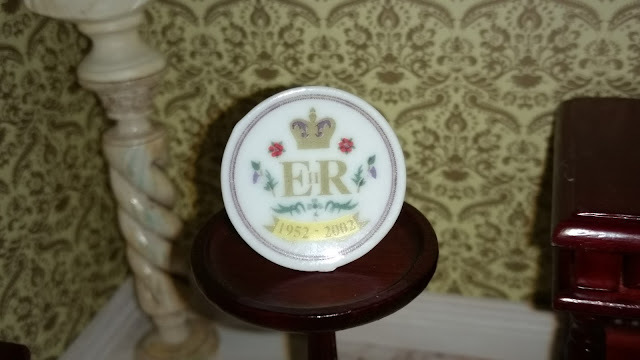 One of the occasions was the Queen Elizabeth II Golden Jubilee Coronation Plate. Quite a rare miniature plate. 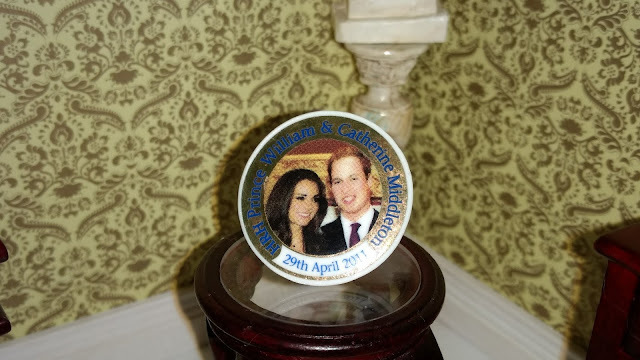 Lately there was the big wedding of Prince William and Duchess Catherine. 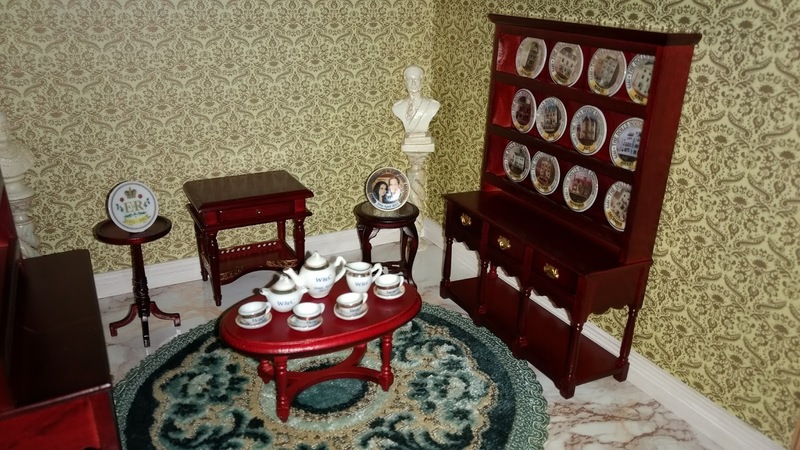 The Dolls House Emporium had also made a miniature ceramic plate to mark the date 29th April 2011. Still the best has yet to come. 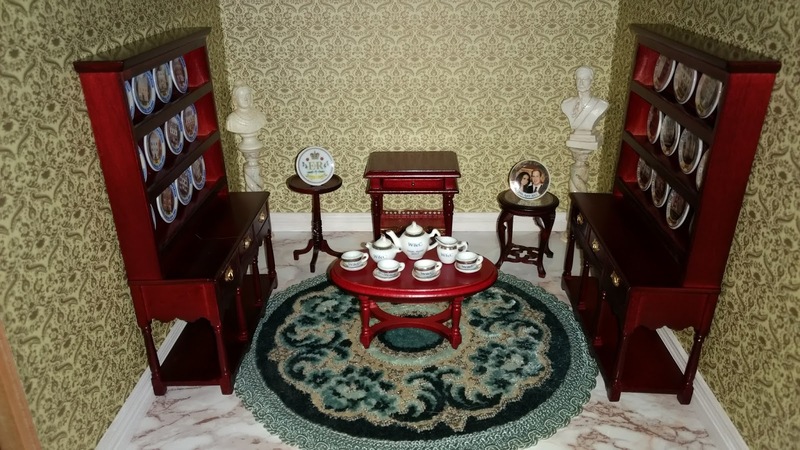 The Dolls House Emporium not only had made the miniature plate but they also thought of making a whole miniature ceramic tea set. 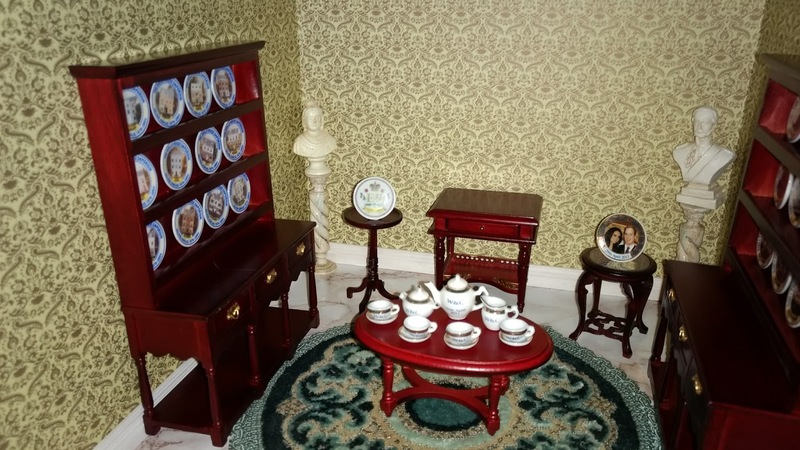 The only thing was that the tea set was never out for sale in the market. I am very lucky to have one myself which was a sample before they made it in production. It was a gift from my friend Amy Purser which is the daughter of the former founders of the Dolls House Emporium. 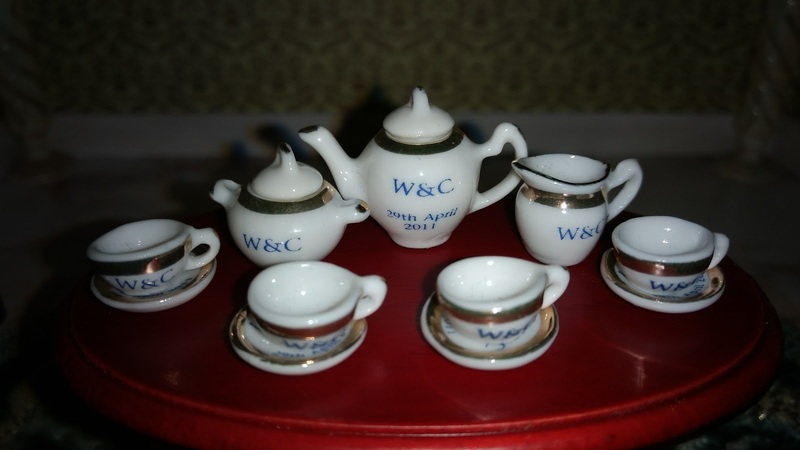 I will always cherish this tea set as it is very rare. So far this is how the room box looks like. There is still so much that I want to add and I am pleased how it turned out. The room box matches so well with my sitting room. I am really eager to continue with this. Keep tuned for the next update on my this small project. 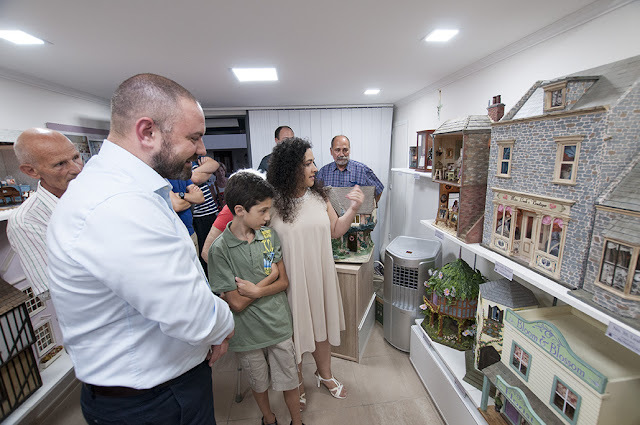 What a wonderful way to display such beautiful pieces! Simple and elegant. Love it.